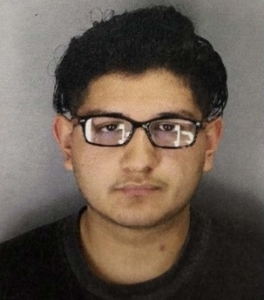 Porterville Police say the alleged sexual assault took place in early January 2019. Juventino Noe Garcia admitted to dating the 12-year old victim, claiming that he didn’t know her age until later. Police say he portrayed himself as a 16-year-old and used the ruse that he was taking the girl to play with his sister. Garcia was arrested at noon on Friday outside his home, inside his car was a 14-year-old female who he said was his girlfriend. Based on the findings and evidence uncovered during this investigation, Porterville police say there may be more victims. If you, or someone you know has been in questionable contact with this suspect, you are urged to contact Detective Orlando Ortiz at (559) 782-7400.